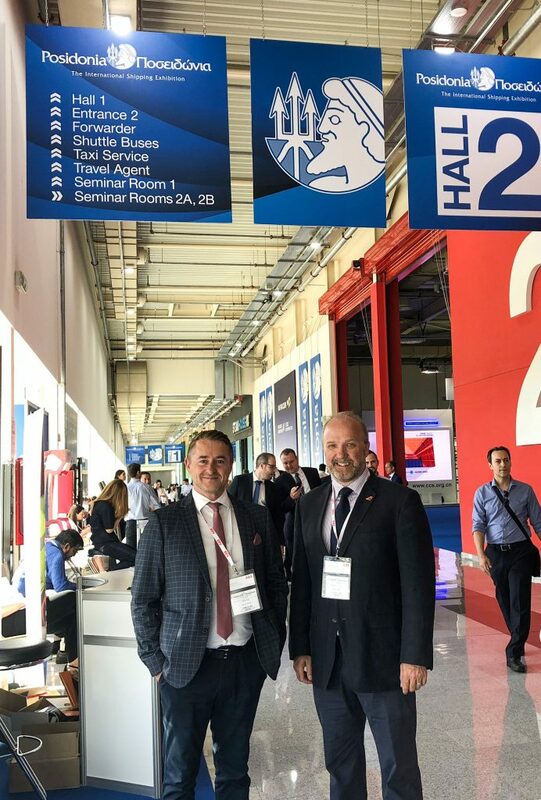 Bruce McGregor and John Rae recently travelled to Athens to attend Posidonia, the International Shipping Exhibition. This event gave them the opportunity to meet with a number of Ship Registries and explain how our MARIS software could assist in streamlining their Registration, Survey and Seafarer processes. Key messages coming from registries was their eagerness to modernise and embrace digital technology (for example full electronic document signing/validation) as ‘Smart Shipping’ becomes an increased area of focus within the Maritime industry. Posidonia also allowed us to speak with various Class Societies to understand how we could integrate information for the mutual benefit of our customers which is an opportunity we look to explore further in 2018. It was a very constructive few days in Athens and we look forward to providing the requested online demonstrations of MARIS over the coming weeks.